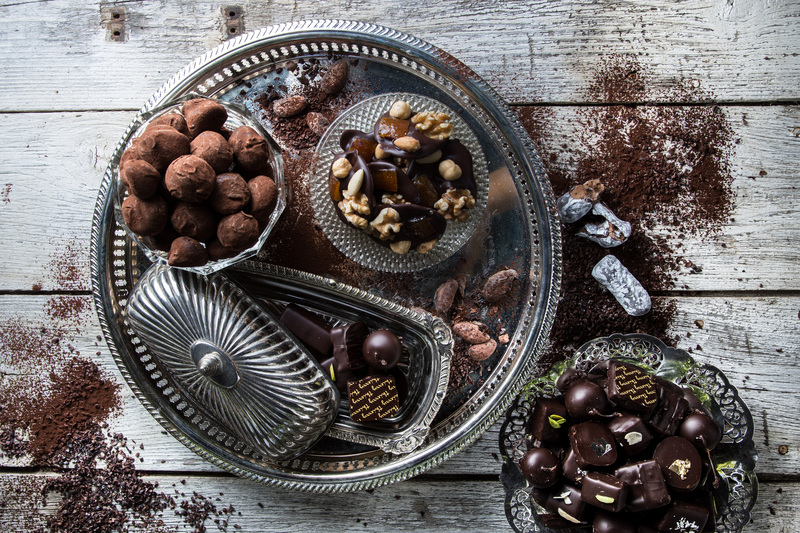 Our chocolates are founded in the traditions of my native France, where I learned my craft as a young man. I personally select only the finest ingredients: fresh fruits and zests, Tahitian vanilla, premium hazelnuts, Quebec maple syrup, and, of course, only the very best chocolate. Then it’s off to our climate controlled ‘chocolaterie’ kitchen, which allows us to make precise, small batches for you – from the initial chocolate tempering process right through to the final garnish. To that we add a little joy, in the hope that here in this box, you will find some too… Enjoy! ~ Thierry Busset, Maître Chocolatier. Nut and allergy disclaimer: while peanuts or other tree nuts may not be a key ingredient in every one of our baked goods, all our bakery and pastry items are produced in the same area where products containing various nut items are created. Though best practices are used in the manufacturing of our baked goods, inadvertent cross-contamination may occur.